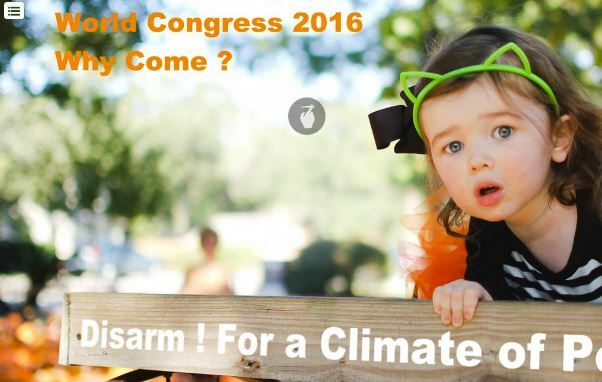 On behalf of the International Peace Bureau’s (IPB) Board and Council we are delighted to issue an invitation for participation in the IPB World Congress ”Disarm! For a Climate of Peace – Creating an Action Agenda”. The congress will take place from September 30th until October 2nd, 2016, at the Technical University of Berlin, Germany. In 2014, the world’s governments spent over USD 1,700 billion on the military sector – money that could instead be spent on social and humanitarian projects. More jobs could be created for young people, the hungry could be fed, pandemics be tackled, social justice be promoted and humanitarian projects be funded if a profound reallocation of military spending was realized. For several years now, the IPB has called for annual reallocations of (at least) 10% of the military budgets of all states. It has called for the reduction of arms production and the minimization of the international weapons trade. We view this priority shift in national politics as one element of a much broader global transformation towards a green, socially just and peaceful society. 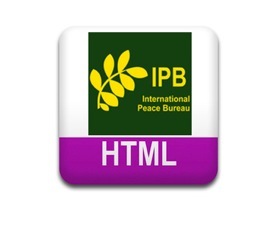 IPB’s campaign builds on over a decade of work related to the theme ‘Disarmament for Sustainable Development’. A description of our current program and details on our organizational process are available at: www.ipb2016.berlin/. We expect 1000 participants from at least 40 countries. Since the congress has a very international design and outlook, we are delighted to welcome participants from many different nations all over the world as well as members or representatives of international organizations, universities, institutes etc. To get valuable insights from other countries and start an inspiring debate on how to bring about a real global transformation and foster a culture of peace, we hereby invite you to Berlin from September 28th until October 5th, 2016, to participate in the IPB World Congress. It would be a great honor if you could accept our invitation for the IPB World Congress. Please let us know at your convenience if you will be able to attend the conference. Do not hesitate to contact us in case of anything being unclear or you having further questions.